Do they look familiar? 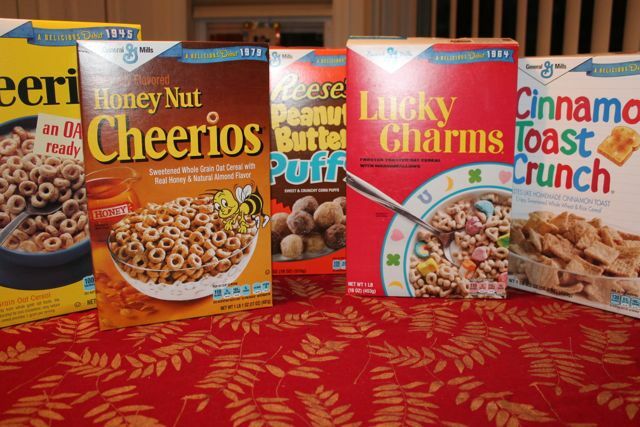 General Mills has brought back their original cereal packaging for Cheerios, Honey Nut Cheerios, Lucky Charms, Cinnamon Toast Crunch and Reese’s Peanut Butter Puffs for a limited time. You can find them at Target stores. Order (via Shop From Home) $20 worth of select breakfast products, including Cinnamon Toast Crunch, and save $10 off your order with code CHEERIOS. Print this coupon to save another $1 off per box. Also, don’t forget that ShopRite is doubling all coupons up to and including $1 right now (limit of 20 and 2 of the same per order)- and they have announced they will continue doubling them until Easter! For Shop From Home tips, click here.